​Teacher evaluation and observation is a common task required of educational administrators and coaches. Pearson had acquired observational software from Johns Hopkins School of Education and needed to redesign the toolset to scale to a larger customer-base. We worked directly with Johns Hopkins educational experts and Pearson’s staff to analyze the technical architecture and user experience of the application. Using an iterative Scrum process, we developed wireframes and prototypes, chose an application framework and build a market-ready product in 5 months. We then worked with Pearson’s Marketing and Sales groups to coordinate a launch and train sales people. A dedicated team consisting of a Product Manager, Web Developers and QA engineers then worked with Pearson over a period of several years to evolve Teacher Compass. Most frameworks for teacher observation are represented as rubrics with various categories on which teachers are to be rated based on a scale. However, as we worked in the field with observers, we realized that a rating is rarely determined at the time of the observation. Rather, notes are taken during the observation and the observer than reflects on those notes to determine a rating afterward. To enable this, we built a note taking app that allowed observers to quickly take time-stamped notes on their tablets while observing. 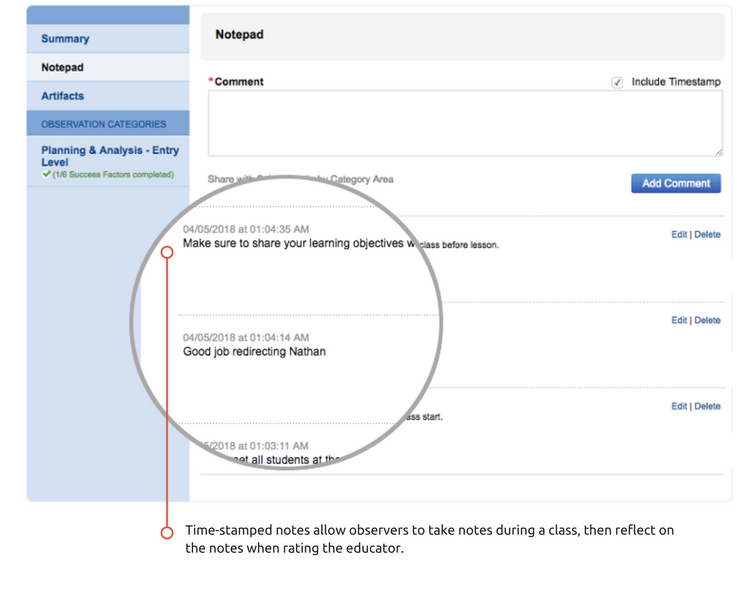 We also noticed that observers often reviewed documentation, such as lesson plans or student assessment results in considering their ratings for an observation. Sometimes, observers would capture video or images of the class in session. To enable this, we built a tool that allowed observers to attach relevant documents, images or videos to an observation report.